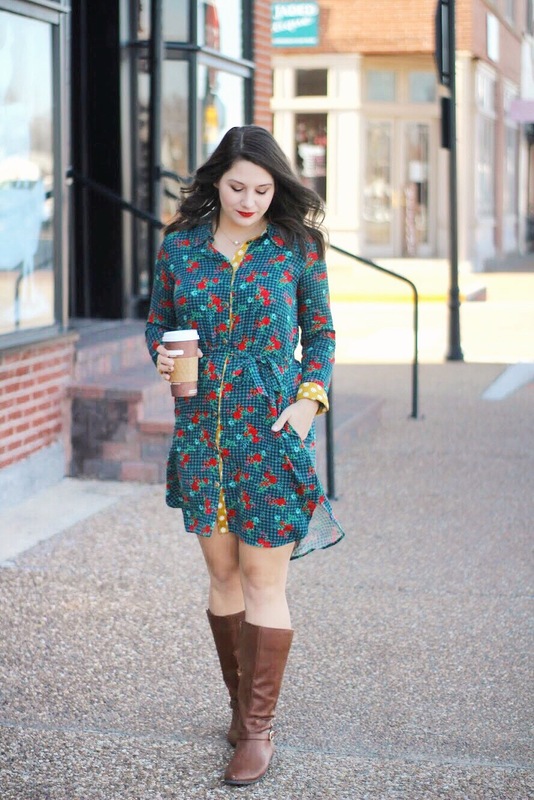 Y'all know I like to get the absolute most wear out of every piece in my closet. I just don't see the point in spending money on clothing that only gets worn once (wedding dresses aside)! So when I was trying to come up with a dressy New Year's Eve outfit to share with y'all, my first thought was of course lots of glitter and sparkle! But what on earth was I going to do with super glitzy dress the rest of the year?? 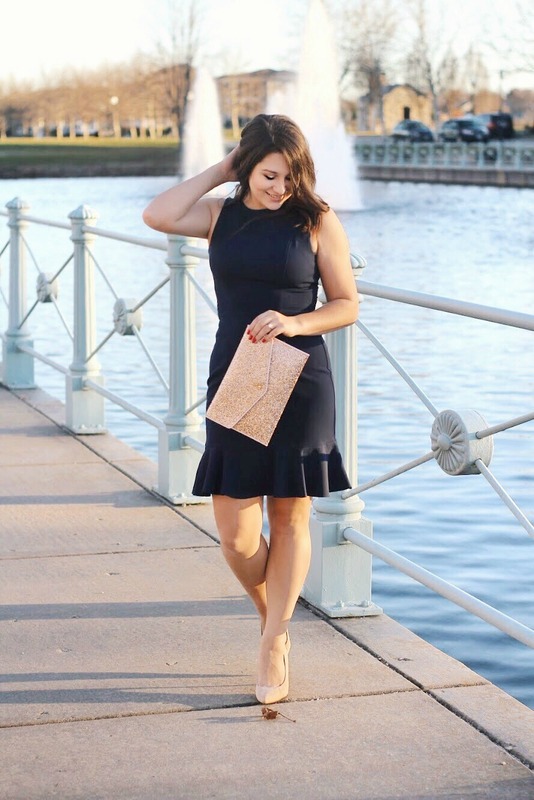 I decided to work some glam into a dress that was already hanging in my closet; the only "new" thing I added to this ensemble was this darling glitter envelope clutch! 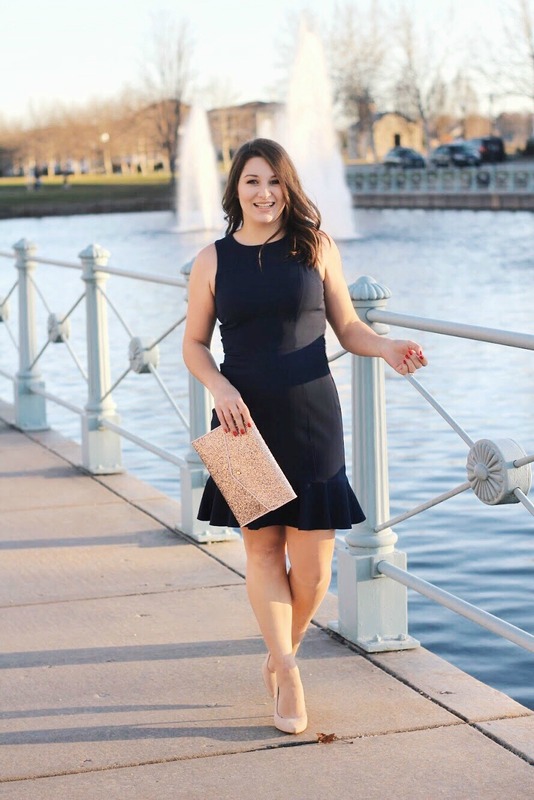 If you absolutely must have a new dress for New Year's, I've rounded up a few gorgeous neutral dresses that can work for multiple occasions without being too over the top! 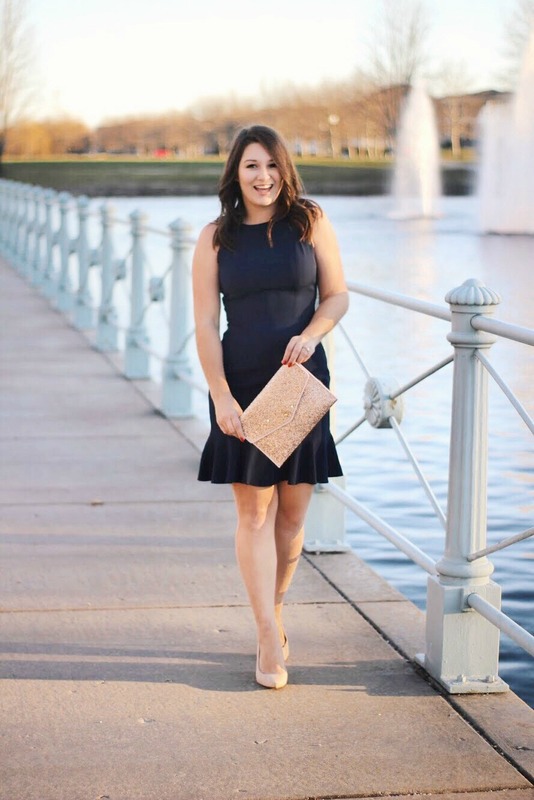 SHOP LITTLE BLACK/LITTLE NAVY DRESSES FOR EVERY OCCASION, $50 OR LESS! Just add one of these glitzy accessories to really take the outfit to the next level! 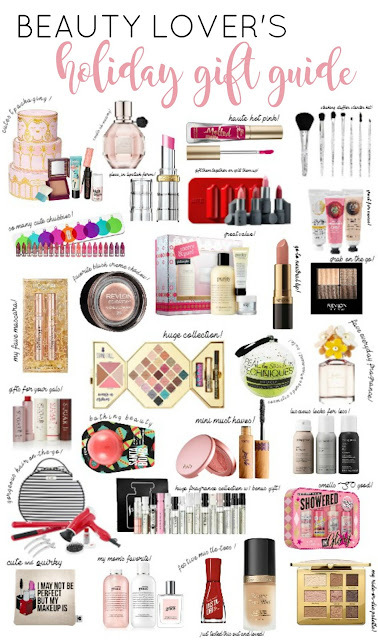 SHOP GLITZY ACCESSORIES AND MAKEUP PERFECT FOR NEW YEARS! Lipstick // Maybelline "Baddest Beige"
Nails // Sinful Colors "Bitten"
I don't know about you, but I'd much rather spend $15-20 on my New Year's look than drop $100+ on a dress I'll never wear again (or feel obligated to wear for NYE every year from now on)! 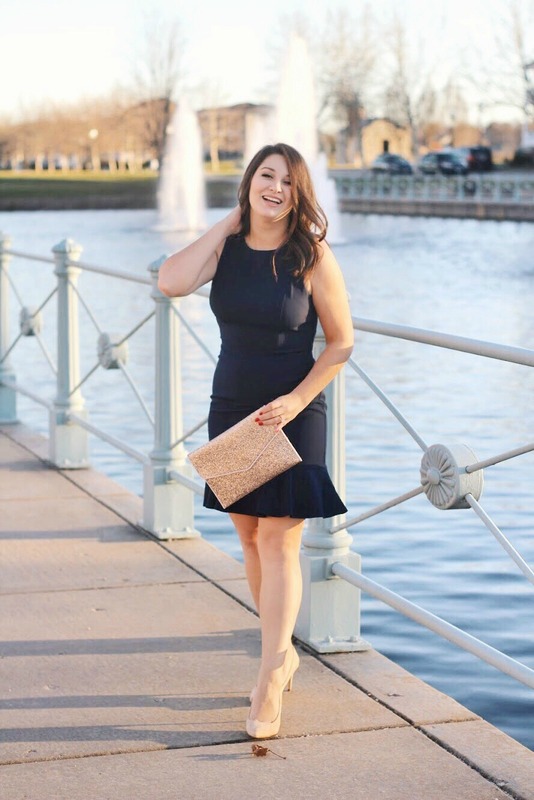 This navy blue frock has been such a great staple in my wardrobe that I know I'll just love for years to come. What are your New Year's Eve plans this year? Do you know what you're wearing, yet?! What's on your stocking stuffer wishlist this year? 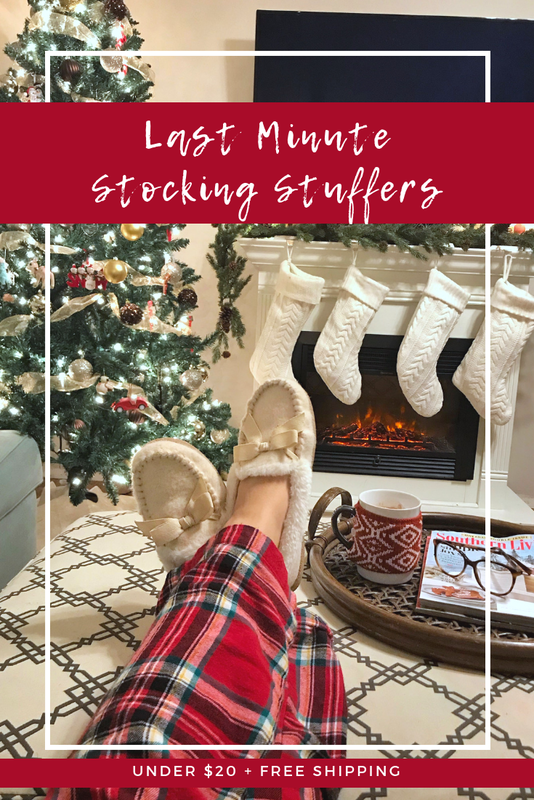 Do you find stocking stuffers easy to shop for or do you tend to be stumped? 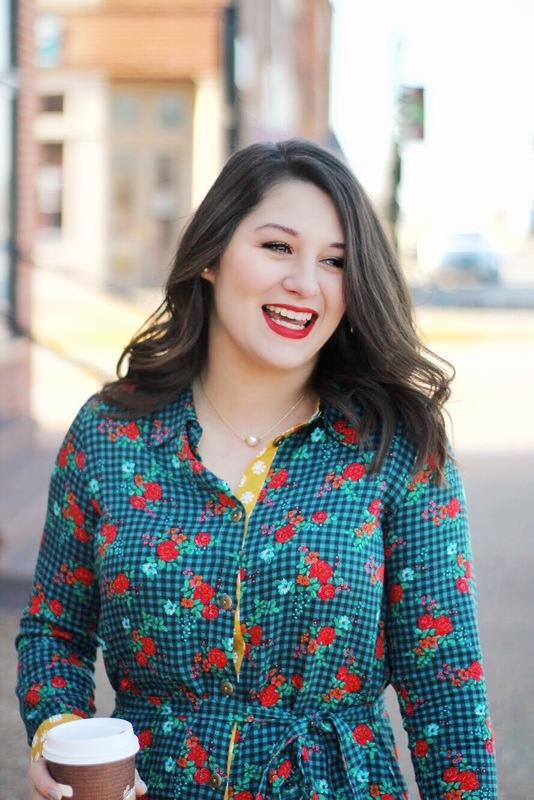 I know a lot of you have probably heard of Matilda Jane for little girls' clothing, but have you ever checked out their women's line? This dress is my second MJ item for myself and once again I am blown away by the quality! 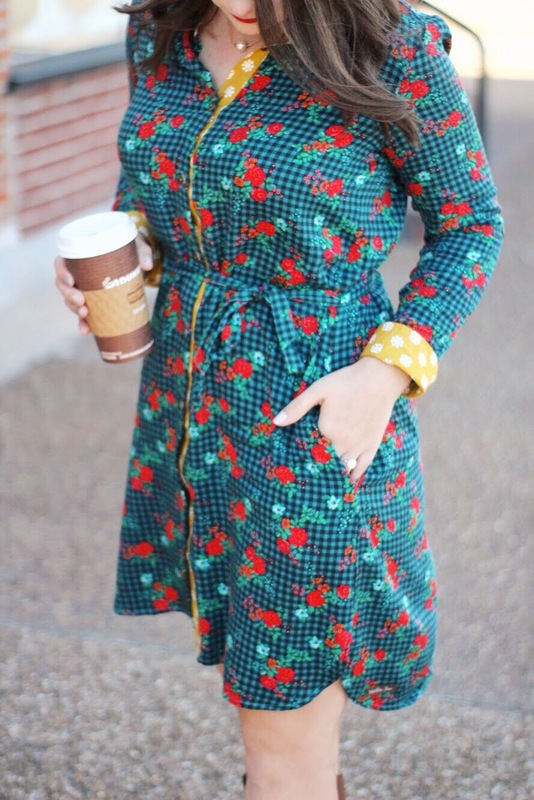 This is the Fa La La Dress, part of Matilda Jane's holiday 2018 collection! I'm normally a size small, but I had to exchange for an XS in this dress and the fit is perfect! 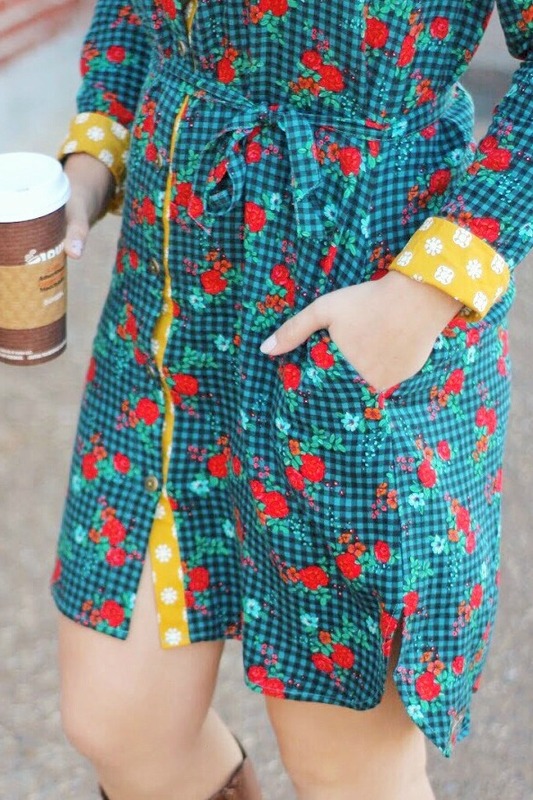 I love the length and the adorable mismatched lining around the cuffs and placket. 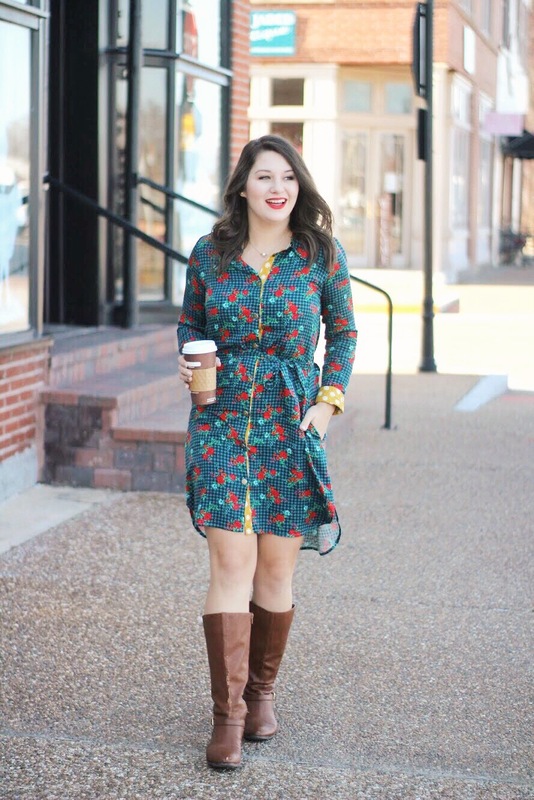 I love that this dress is festive enough to be perfect for the holiday season but still neutral enough to wear all through fall and winter! 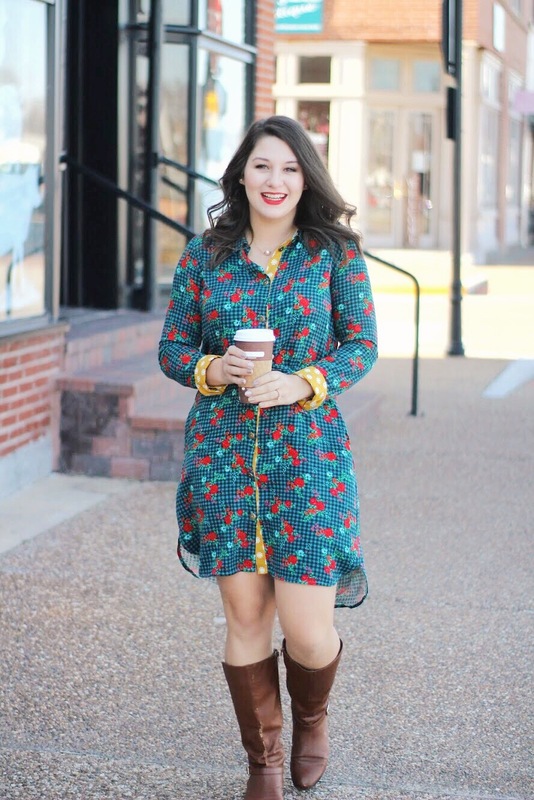 I'll probably even wear it into spring since our weather can be so terribly unpredictable! Matilda Jane actually just released another line with Joanna Gaines, which as usual is nothing short of adorable! 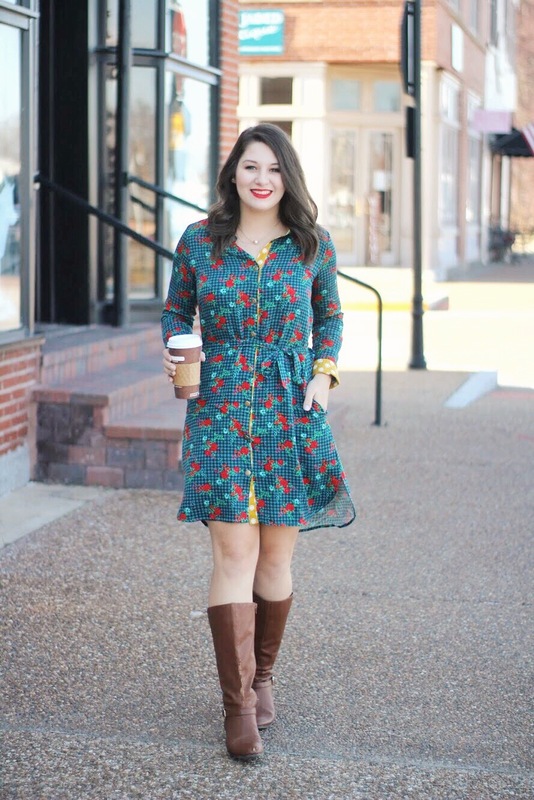 If you don't already have a trunk keeper, I purchased this dress from my friend, Maureen, thanks to winning a discount on her Facebook page! 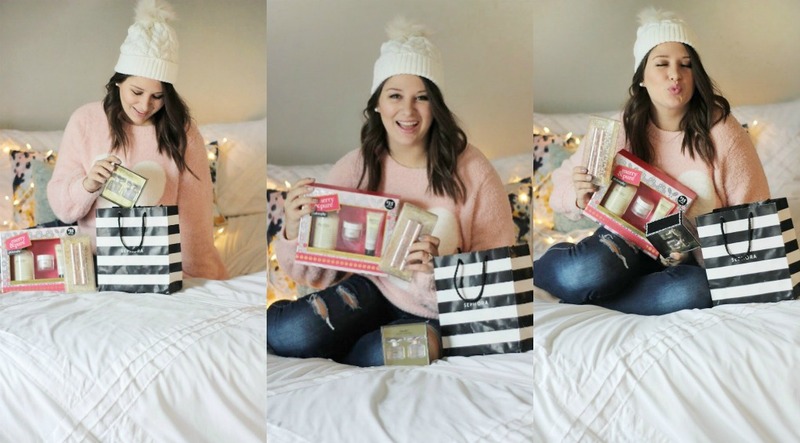 She always keeps me up to date on deals and has some fun giveaways and discounts throughout the year so be sure to follow along here to get some savings for yourself! 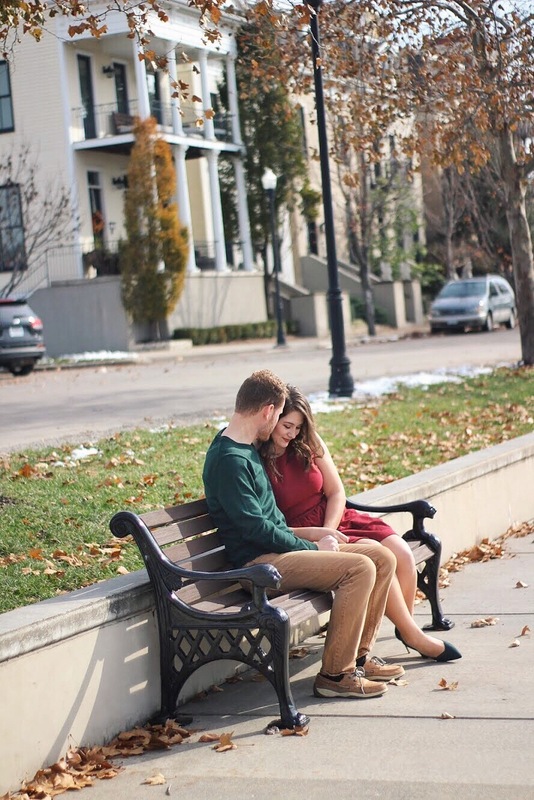 And no, this is isn't sponsored in any way, I just won a great discount and loved the dress I bought and want to share it with you! 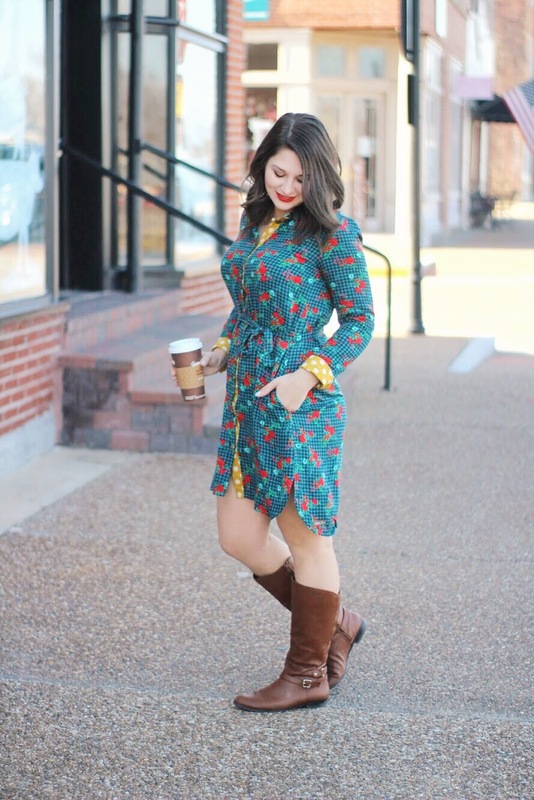 I'm always happy with my Matilda Jane purchases, so even though they're on the pricey side, I think the quality and unique designs are 100% worth it when you find an item you love! 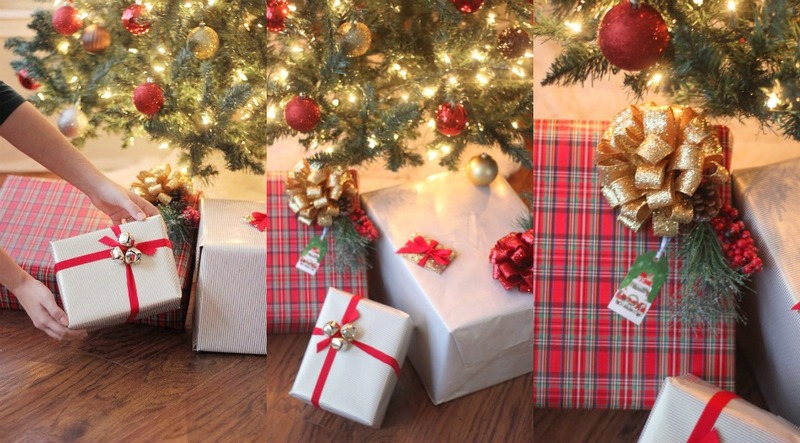 Have you started wrapping those Christmas presents, yet? 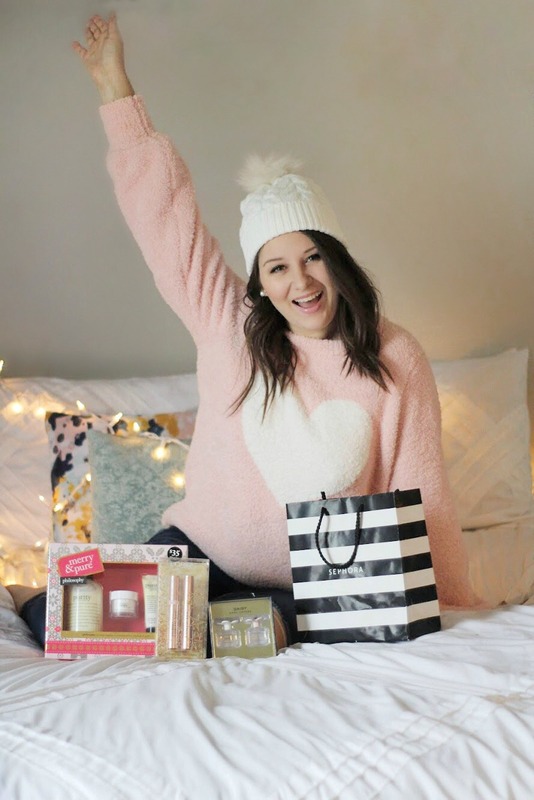 Have you even gone shopping? If you're like me and find yourself procrastinating year after year, you'll know that by the time you actually have the presents, there's little to no time left to wrap them! You'll end up slapping whatever roll of holiday paper you had lying around from last year on them and accept defeat. Starting out with a sturdy, beautiful paper will immediately make your gift look polished and fancy! Quality wrapping paper doesn't have to be expensive: I purchased both of these rolls from TJ Maxx for just about $3 each. They are a thick paper with a light texture/gold foil printing which feels super luxe, plus the inside has a grid pattern for easy measuring--another important factor to professional looking presents! Be sure to take your time cutting, measuring, and securing the paper so that you have no tears or lumps. For the smaller gift, I simply wrapped a large strand of ribbon around the box, keeping the crossing point off center, and tied it down. Once the box was tied with ribbon, I took a small scrap piece of ribbon, strung 3 jingle bells onto it, and tied the small piece onto the crossing point of the original ribbon. Cut the ends of the small piece off completely or taper the ends like I did here to finish the look. I love the way this looks off center, but you could easily recreate it with a centered ribbon. Try a few pinecones or a floral pic instead of bells for a less whimsical look. For the larger gift, I swapped the gold foil paper for a beautiful festive plaid. If you're looking for simple, this is where it's at: simply tape down a nice gift bow (this one is a stiff, sturdy ribbon with lots of glitter), tape a floral pick underneath it, and add a small tag if necessary. Talk about easy! Once again, quality toppers can really take a present's wrapping from cheap to luxe without breaking the bank. This gold bow was $2 at Hobby Lobby and the greenery pick was only 98 cents at Walmart! While I suppose this one would be easy enough to DIY, sometimes you just gotta settle for store-bought! This glitzy gift card holder was a Target dollar spot find a couple of years ago, and I'm so glad I held onto it! It came in so handy when I needed a quick wrap for a gift card. To finish it off and keep the top of the holder closed, I tied ribbon the same way as mentioned above, only on a much smaller scale. I opted for a simple bow in the center this time to give it a neat, clean finish. So to wrap things up (get it? 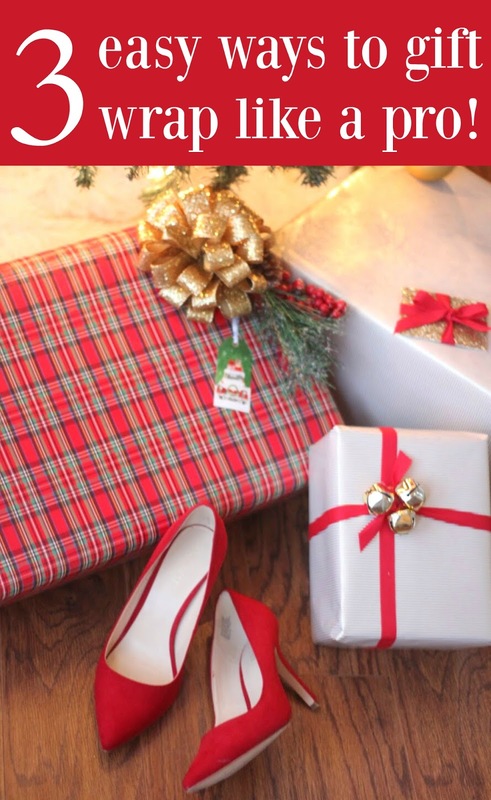 ), investing in a quality wrapping paper, grabbing a few toppers + ribbon, and finding a few store-bought aids can completely elevate your gift wrapping game with little to no effort or added cost! I just love wrapping presents (it was a job requirement for a few of my past jobs and I loved it!) and creating a beautiful presentation whenever I can, so I hope this little guide is helpful to you! Now, are you ready to get your wrap on? Or do you still have a list to cross off? 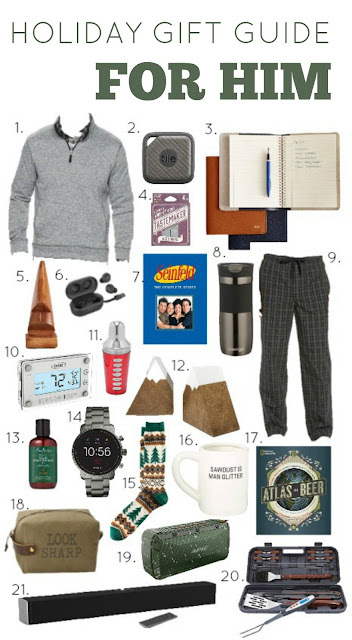 Check out this year's gift guides for new ideas that won't break the bank! 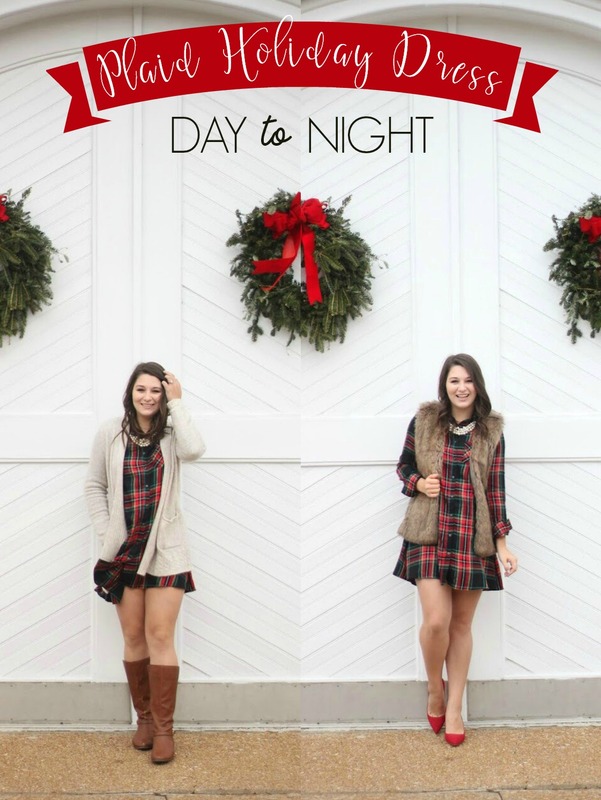 Few things get me into the holiday spirit more than a festive plaid! 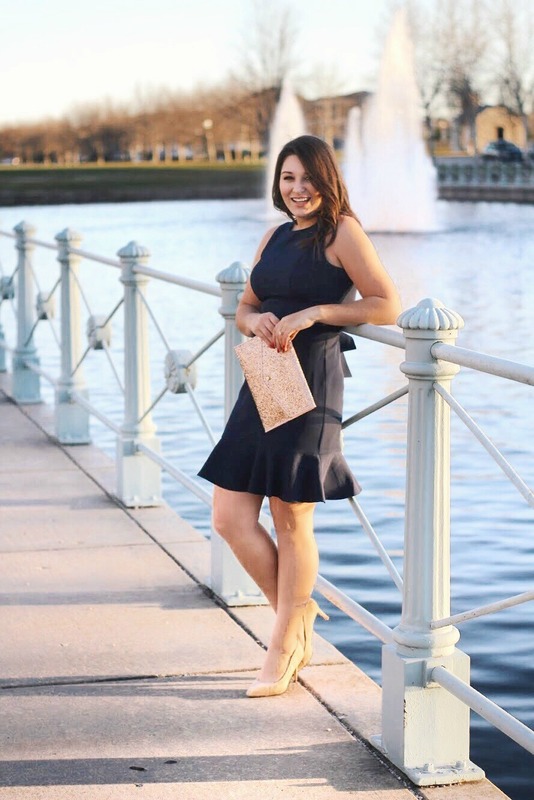 When I saw this dressy on @sandyalamode a few weeks back, I ran to my local store to pick it up and I'm so glad I did--they had exactly one left in my size! I have yet to ever see it show up online, so if you're looking for this specific one I recommend calling your local Old Navy or stopping in to see if it's still available there. 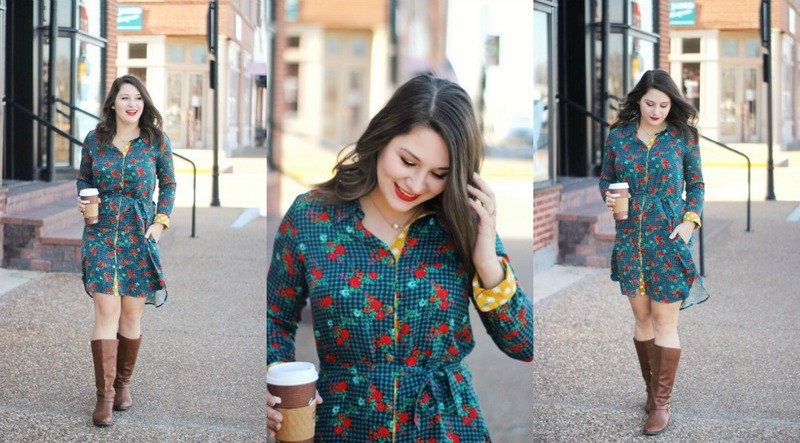 I love finding multiple ways to wear statement pieces since they can sometimes be tricky, so today I'm styling this holiday-ready plaid dress from day to night! 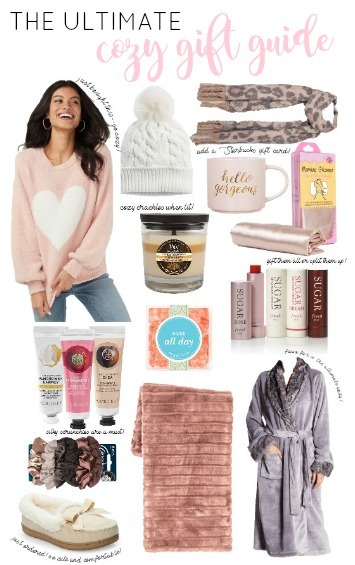 This cardigan is part of Kohl's "super soft" line and it is just that! I've barely taken this off of my body since I got it and I love the kind of in between grey and cream color. I just added my every day riding boots (I need to replace them!) and a pearl necklace to keep this casual but still put together. If it's not too cold, you could even roll the sleeves up to created a deeper layered look that's even more relaxed. To dress it up, I swapped out the cardigan for a faux fur vest and traded my boots for classic red heels. I personally think a pair of pointed toe pumps can dress up just about any outfit, from shirt dresses to ripped jeans. I kept the pearls but you could easily complete this look with statement earrings or a pendant necklace instead. 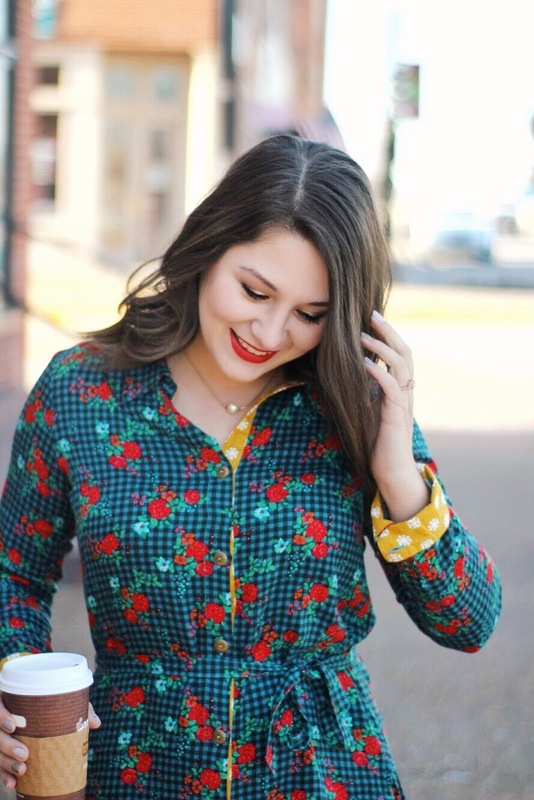 Do you have a favorite pattern that just screams "festive"? If I couldn't choose plaid, I'd definitely go with fair isle!